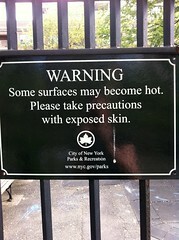 The signs surrounding the playground that swam by me as I jogged my way around Washington Square in New York City got me thinking. Do we need rules to set us free? 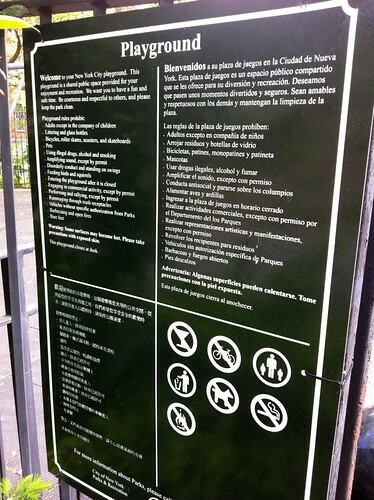 Is this a safe space within a jungle? 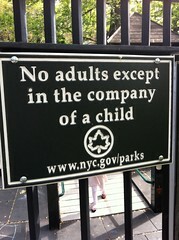 Or is it a sterile void where creativity fled long ago? Perspective. You be the judge. This entry was posted in All Life Lenses and tagged creativity, freedom, perspective. Bookmark the permalink. One Response to Freedom for creativity? Freedom from creativity? Is this a playground or a jail?